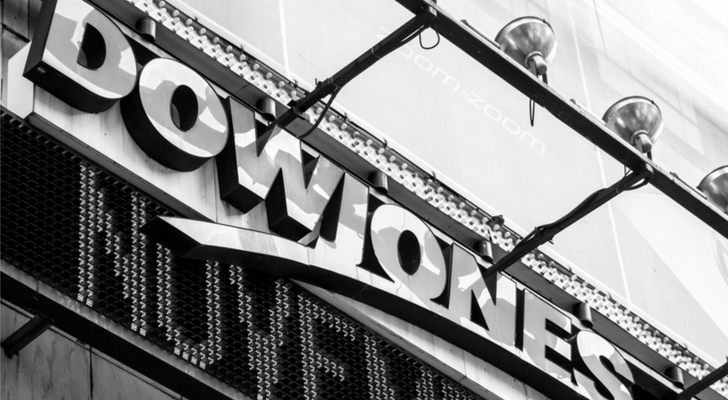 With that in mind, here are five of the best Dow Jones stocks to buy right now! For heavy equipment manufacturer Caterpillar Inc. (NYSE:CAT), a few years is the difference between being cast aside as a relic, touching record highs and being cast aside again. A few years ago, CAT suffered as slowing growth in China and the rest of the world decreased demand for bulldozers, backhoes, and other construction/farm equipment. Shares of the Dow Jones stock were basically left for dead. Then, global growth returned, and CAT stock managed to eke out major gains. Now, however, CAT stock has taken a beating as it again warns of slowing global growth. Despite this, CAT stock remains a strong buy, and this could be seen as a buy-the-dip moment. Caterpillar’s fortunes will eventually return, and the analyst consensus is for double-digit share growth over the next 12 months. In the end, a return to global growth will be a boon for Caterpillar and its bottom line. That said, be wary of timing the market with an entry into CAT stock, especially if you don’t have the cash on hand to hold for the long-term. When you own the dominant and most iconic brands in your operating market, you must be doing something right. That swoosh has made Nike Inc. (NYSE:NKE) investors plenty of coin over the years. Up nearly 20% in the past year, the good times could keep rolling in 2019. The reason is two-fold. First, Nike has gone gangbusters on its Consumer Direct Offense Initiative. Fellow InvestorPlace contributor Luke Lango highlights the move as an aggressive push to become more fashion forward. That should help it drive sales beyond its core athletic gear market and take away market share from rivals like Adidas AG (ADR) (OTCMKTS:ADDYY). Second, Nike has taken its product directly to the consumer. Nike has pushed hard into e-commerce and direct selling to get an edge and boost revenues per purchase. NKE shares could surge in 2019 as better global and direct sales data overshadows recent hiccups in the domestic markets. Retail isn’t dead. Sector kingpin Wal-Mart Stores Inc (NYSE:WMT) has just had its best year since the dot-com days. More could be in store for the Dow Jones stock. That’s because Walmart continues to dominate in online sales. Walmart has gone all-in for e-commerce to keep up with the increase in online shopping. This push has included buying Jet.com and a whole host of smaller shopping sites, adding additional online shipping/pickup options and beefing up the number of SKUs on Walmart.com. And these efforts seem to be working. Online sales metrics have really begun to add up at Wally World. Walmart just announced that it is unveiling a new scan and go app that will allow customers to avoid the lines by bleeping their own barcodes while shopping and paying for items before they leave. Aside from sticking it Amazon (NASDAQ:AMZN), the move will allow WMT to reduce its biggest cost — labor. That means more money for dividends for WMT shareholders ahead. Compared to 2017, the Golden Arches have dulled somewhat. In 2017, McDonald’s Corp. (NYSE:MCD) was one of the best performing Dow Jones stocks, finding a lift from its all-day breakfast, menu simplification and sped-up drive-thru lines. But with MCD stock in the red by 3% this year, there’s some analysts that see MCD stock rallying by double digits over the next 12 month. That said, it’s likely that the real win for MCD could still come. McDonald’s is going back to its roots as a cheap source of calories and bringing back the dollar menu. With higher-end burger joints like Shake Shack (NASDAQ:SHAK) and Five Guys killing it, MCD’s is refocusing on its core consumer once again. And that’s people who want to spend a buck on a burger. The fast-food restaurant chain has announced plans to bring back its dollar menu and launch other value-priced offerings. While margins here can be thin, the name of the game is revenues. And with McDonald’s looking at adding more kiosk and mobile ordering to its stores, like previous pick Walmart, the company could reduce one of the biggest costs for its franchises. With bargain and value deals once again hitting McDonald’s menu, MCD stock could see a continuation of its surge in 2019. 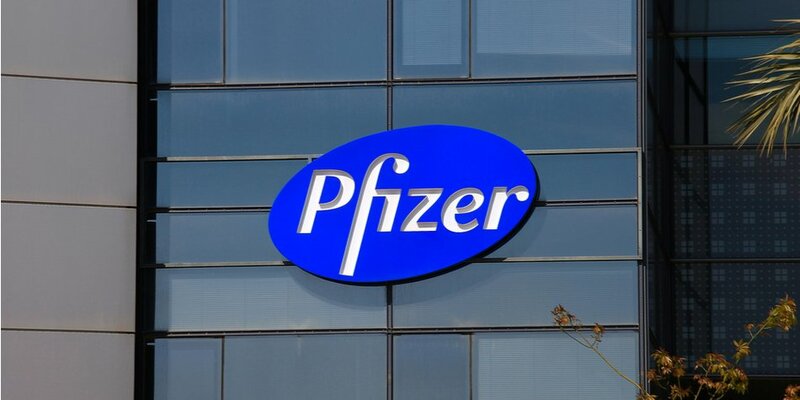 The past year has been a relatively good year for pharmaceutical giant Pfizer’s (NYSE:PFE). PFE stock is up 1% over the past year, compared to the 17% rout in the SPDR S&P Biotech (NYSEARCA:XBI). The reason? The tax plan. Pfizer has been struggling with its high tax rate. In fact, the pharma attempted to buy AstraZeneca plc (ADR) (NYSE:AZN) and Allergan plc (NYSE:AGN) in order to be able to “move” to Europe and lower their corporate tax rate. Pfizer currently has one of the largest U.S. corporate cash piles offshore — roughly $160 billion. After the Republican tax plan takes effect, Pfizer will be able to bring that money into the U.S. — and spend it — at a much lower tax rate. That’s huge news for investors. As Pfizer sees a huge influx of capital, the dividends, buybacks and M&A activity is set to explode at the firm. And the company is not waiting. Pfizer has already boosted its dividend by 6% to 34 cents per share and announced an additional $10 billion in buybacks. That’s on top of its current $6.4 billion buyback program currently underway. All of this means just one thing: PFE stock will continue to rocket in 2019 as these programs take hold. As a result, Pfizer could be one of the best Dow Jones stocks to hold in the new year. Article printed from InvestorPlace Media, https://investorplace.com/2019/01/5-best-dow-jones-stocks-buy-2018/.